-I actually got two copies of this by accident. -Review, interview, and giveaway will be posted shortly. I highly recommend this boook! -I've had this one for awhile but forgot to put it on IMM. It's pretty good. A little slow, but it's getting a lot better. -Download Wings for free using these links! -Join my team for the Wings Read Along Challenge! -I love this cover. I hate that they de-Asianized the paperback cover. It's a real shame. -Love all things by Melina Marchetta, although I can't imagine it will live up to Jellicoe Road. -This sounds so cute. I'm looking forward to it. -I loved Glimmerglass. I'm looking forward to this one too. Shadowglass was awesome!! Totally exciting and so can't wait for Sirensong! Looks like you've got a lot of great books to read! 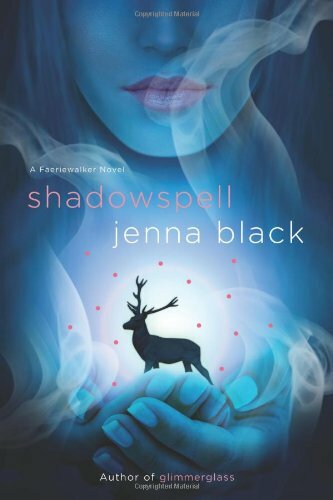 I love the cover for Shadowspell, it's so unique and pretty. Can't wait to see what you think of Ten Miles Past Normal, definitely looking forward to your thoughts on that one:) I need to read If I Stay and Where She Went, I'm out of the loop on those and it's unacceptable! Fantastic group of books Alison! Ohh, I can't wait to read Where She Went, and Glimmerglass! Great haul this week. Enjoy! I really want to read Where She Went, but I still have to read If I Stay. So many book and so little time. You library seriously has some amazing reads. I have to search really hard to come up with some reads. Hmmmm maybe it's time for a trip back since I haven't been there in a while... Good idea! Nice stash as usual :) You never have a bad IMM and I always feel my envy surface. It's good envy since it's all about books! I so wish l could get Wings from the UK amazon! Will be trying again. I hope you enjoy Where She Went. I've read the first book and enjoyed it, but haven't yet got around to Where She Went. Woah!! You got a lot of books this week. Have fun reading them. Old follower. I still need to read Glimmerglass - they both look great!! I really enjoyed Shine - it was a really tough read - heavy topics. My IMM Post, hope you will visit. I enjoyed 10 miles and hope you do too. Awesome IMM this week! Ten Miles Past Normal has been on TBR list for forever! I heard it was really good! Where She Went looks really interesting too! Have fun reading! Great books, hope you enjoy! Especially Where She Went. Shine looks good, I'm looking forward to it. I got Where She Went as well. Enjoy your new books! 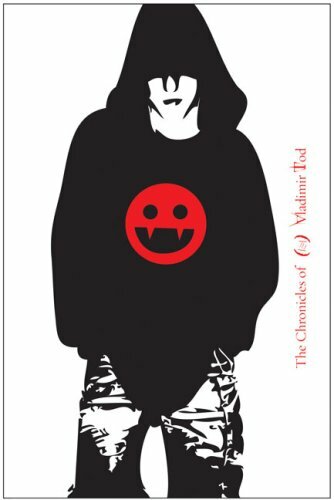 I read Shadowspell! Since you loved reading Glimmerglass, you'll love it! I can't wait for the next one! I wrote a review about it on my blog! Enjoy! 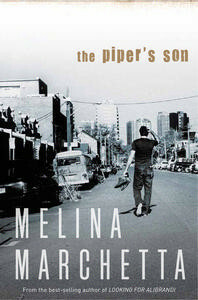 I haven't read Jellicoe Road yet, but I can't imagine anything better than The Piper's Son!!! I LOVE YOU THOMAS MACKEE! Sorry, had to get that out of my system. I've got crazy love for Adam too! Have fun with these. I know I did. Such a great IMM! Shadowspell, Eighth Grade Bites, Silver Phoenix, and Where She Went are all books I want! I'd heard that Where She Went is a really good book. Great choices btw. Cover envy - Shadowspell, Shine and Silver Phoenix. What a shame to change the cover. This one's perfect! Jealous about a few of your books! Looks like you have some great reading to do! Thanks for stopping by my IMM. Really great books this week. I have a copy of Wings somewhere that I should probably read soon. These all sound super great and I look forward to your reviews. Happy Reading! Silver pheonix was really good, so was wings! Grwat haul. I loved Shadowspell, Sounds like I must read 10 Miles Past Normal, not heard of it before now. 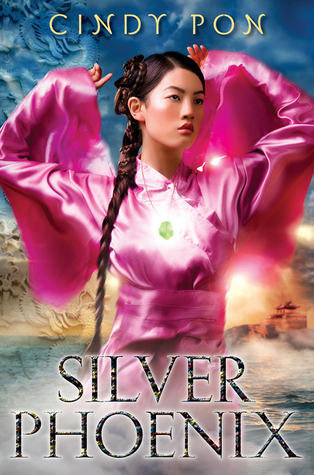 Silver Phoenix is one I have bene interested in. I bought Silver Phoenix the other day from half-priced books. It was the only way to get the old cover, which I love! I just finished Ten Miles Past Normal today and I loved it! WHat a great read! I love that cover of Silver Pheonix too! I think it's gorgeous. Those books all look awesome! I hope you like them. Good to hear you liked ten miles past normal. I keep hearing/reading such great things. Woo hoo, great book haul! :) I keep seeing Ten Miles Past Normal around, I'm really curious about it! 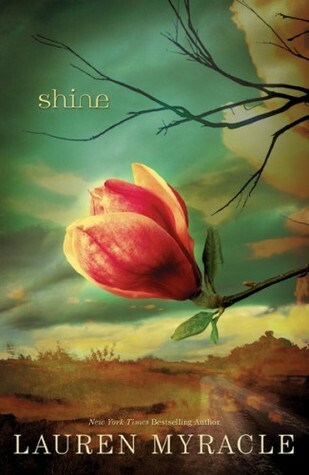 I like the cover of Shine, can't wait to hear your thoughts about it! And I have Shadowspell on my TBR pile, but I never got around to reading it. It sounds great, I can't wait to see what you think, maybe I'll move it further up in the pile. Great list this weekl! Where She Went was amazing, hope you love it! I do hate it when book covers get a whitewash -- it's so disappointing! What a great mailbox! I have the Pon books on my to-buy list! I also already have Wings downloaded (hoping I can get to it soon). I can't believe I haven't even bought If I Stay yet, and now I need to buy Where She Went as well! Ten Miles Past Normal was such a great book; I loved it! Enjoy all of the wonderful reads! Enjoy your new reads! They all look amazing. Thanks for coming by my blog. Amazing books! 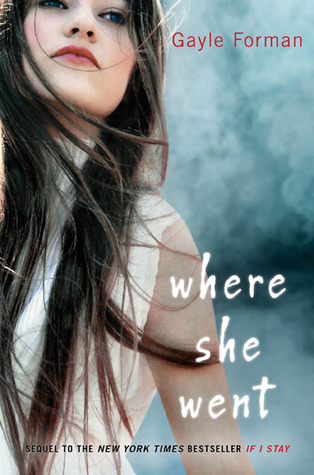 Now that I finally read If I Stay I can't wait for Where She Went! Post a review would you? I've been really wanting to read Ten Miles Past Normal, hope you like it!